Washington Center for Dentistry - Washington, D.C. Obsessive. Compulsive. Perfectionists. All of these descriptions are synonymous with our doctors. Come find out why. THE OFFICIAL DENTIST OF THE WASHINGTON WIZARDS. Learn more about Dr. Deutsch, the official dentist of the Washington Wizards. CHECK US OUT IN THE MEDIA. Our general dentistry is anything but generic due to our extreme attention to detail and innovation to get and keep your mouth beautiful and healthy. Your dream smile is waiting right here. Our practice has expertise in creating dazzling smiles through a number of cutting-edge cosmetic procedures. Veneers are quite possibly the best way to correct a number of issues that’s keeping you from your perfect smile and we’re a whiz at placing them. Missing teeth no longer have to be an issue when you visit our practice for implants. We will design and implement the perfect treatment plan for you. Improve your smile with Invisalign. 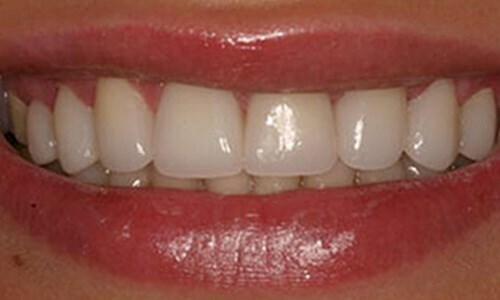 We will customize your plan to get you straighter, better-looking teeth in less time than you would expect. Dental Health is a key component to overall body health. Let us teach you how to be the healthiest you possible. Please take a moment to view our welcome video. We appreciate how precious your time is, so we think this quick video will give you a good feel for who our practice is, what we do, how we can help you and why you should choose us for your dental needs. Enjoy! Discover how our level of care is unparalleled with thoroughness and extreme attention to detail. Watch as we provide innovative, cutting-edge procedures in a safe environment. Discover how all of your dental needs can be met comfortably in a relaxed setting. See the amazing results we achieve through our various, high-quality procedures. What makes The Washington Center for Dentistry stand apart from other dental offices? It’s the sheer dedication we have to our patients in ensuring a never-before-seen level of care and service. At our practice, we’re not only focused on the beauty and health of your mouth, but we’re committed to the well-being of your entire body. When a patient comes into our office, we expect them to expect more because that’s what we deliver on a daily basis—a level of exceptional care. We always go the extra mile and as a result, people across the entire Washington region and around the world choose us. From our highly-advanced technology to our beautiful décor to the comfortable and serene atmosphere we have created, any patient will feel at ease from the beginning of a visit to when he or she leaves. Our facility provides only the best because that’s what we believe our wonderful patients deserve. 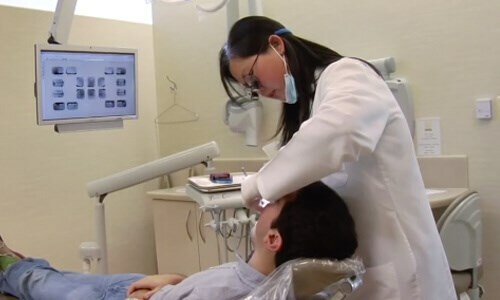 Whether you’re in need of the most thorough hygiene visit of your life, a carefree drill-free filling or extensive restorative work, we can take care of all of your procedures on-site in safety and comfort. We invite you to see why the Washington Post says "This practice sets the bar." And we keep raising it—every day—for you! The best dentist in DC!! High tech, very clean, and the staff is amazing ?? Your first visit at our office will be comfortable and stress-free. Our friendly staff is here for you every step of the way. See why everybody from The Washington Post to New Beauty Magazine are seeking us out for our expert dental advice. Learn how our procedures use the latest technology to provide the safest, most reliable and beautiful outcomes possible. Scroll through our amazing before and after photos to see the real-life transformations we have created for our patients. Our team of doctors are some of the most highly trained, highly sought-after and highly skilled in the field. Between Dr. Deutsch, Dr. Katsaros, Dr. Fordjour, and Dr. Matin, they have decades of experience and have transformed the mouths and lives of countless patients. Our dentists have been educated and trained at some of the most prestigious institutions around the world, giving them the insight and fortitude to not only practice dentistry, but enhance the field. Along the way, our doctors have collected numerous accolades, but most important of all, they have earned the respect of their fellow colleagues and grateful patients.